Some interesting things I’ve run across this week. Trying to restart my “New & Not So New” posts that I used to do! What about me? 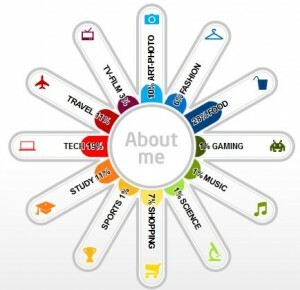 A picture of my digital life – Connect your twitter and facebook accounts and get a personalized infographic of the types of things you’re doing & saying in those spaces. Richard Byrne (Free Tech for Teachers) suggests using this with students to help them understand the digital presence they’re creating about themselves. Library Innovations – John LeMasney started this collaborarative board to gather pins that relate to technological, idealogical, and physical innovations and history in libraries. ToRead/Wishlist – Bobbi Newman’s (Librarian by Day) – great list of tech, customer service, culture, internet related titles. Mixed in with some fun personal reading picks. Kids Summer Reading in Libraries – New York State Library’s collaborative board for summer reading ideas (disclosure – I set up the boards for them) Join us and helpÂ build the board! Forgive me for not remembering who recommended some of these! Suffice it to say, it was twitter, facebook or google reader.